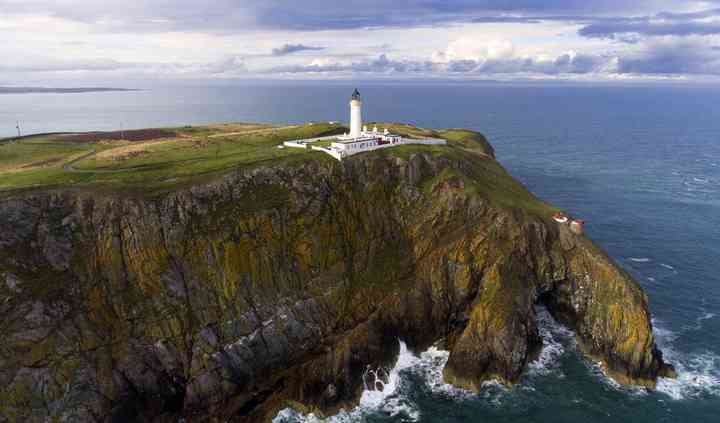 The Mull of Galloway Lighthouse is the definition of uniqueness with the breath-taking views that you can only dream of for your wedding day. 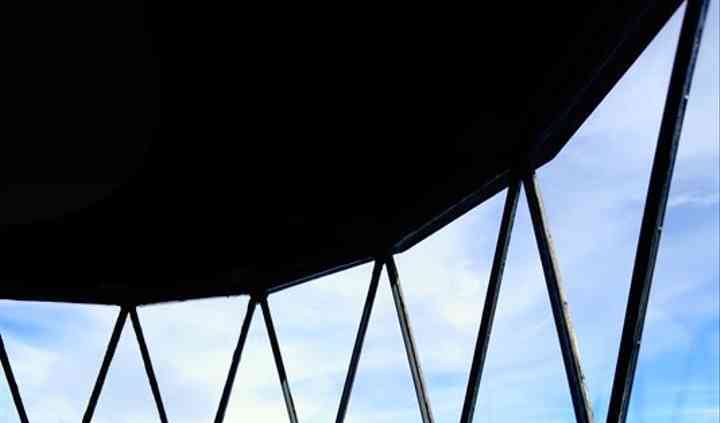 The dramatic scene for your ceremony in one of the only lighthouses in the country that is licenced for civil wedding and humanist ceremonies could not be more romantic or intimate. The team will will make sure that your very special occasion is personalised the way you want it. 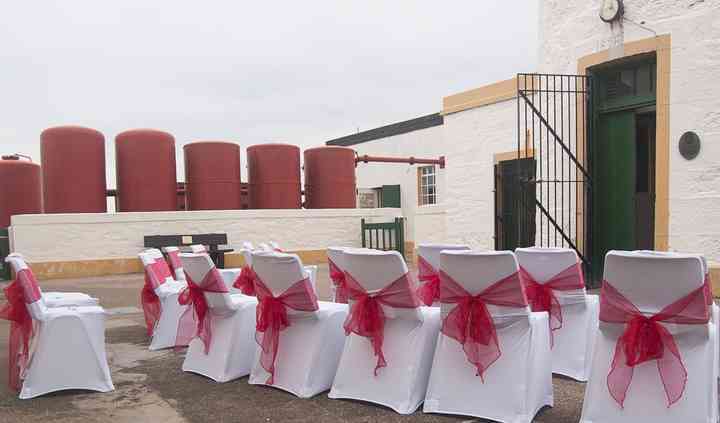 This venue can accommodate up to 25 wedding guests for a wedding ceremony at the very top of the lighthouse, in the engine room or in the RSPB Visitor Centre. A variety of exterior spaces are also available on the lawn, the courtyard or walled garden with magnificent sea views. 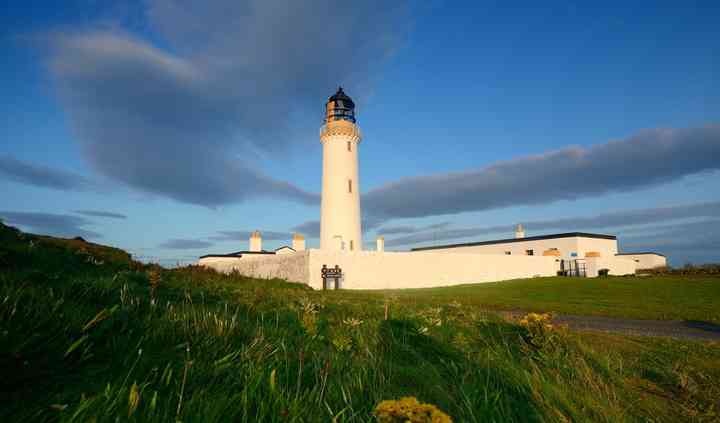 The Mull of Galloway Lighthouse can be your exclusively and they can provide three holiday cottages on site for 16 people. After your ceremony, your wedding reception can take place at the Gallie Craig coffee house or a number of venues a short distance away. With some packages you are invited to bring your own catering and enjoy your wedding in the open air of inside the cottages. I knew what I wanted but wasn't sure how it would turn out. The staff were thoughtful, welcoming and accommodating. Nothing was too much trouble and as a result everything just flowed. Planning a ... Read more wedding from a distancing can be unnerving, but avtually it was all quite easy. We had guests in all the cottages all weekend and local B&B/holiday cottages, with a shuttle service provided. We had a fabulous party on the Friday night where everyone got to know each other. I took my own flowers and decorations. We took our own drink and ordered food locally, which we had put on tables and in one of the cottages. We had music and lights and a great party after the wedding. I only had to walk 50 yards from our cottage to the ceremony, so could enjoy that extra glass of fizz whilst getting ready! The ceremony was really personal and well put together. We got married in the courtyard under the lighthouse. We went up the lighthouse for some photos, which are really unique. It was simply the best wedding I have ever been to. All our guests loved the whole experience and appreciated how unusual, informal and intimate it was. We had 21 guests and the dog as the only bridesmaid. Limited numbers suited us as it gave our ceremony a really special feel, only the people we really wanted there were invited. It also kept the numbers from spiralling. Who else can day they had a fog horn instead of church bells. I would recommend this beautiful setting for your wedding and cant speak highly enough of the staff and cottages. In addition we get to go back for our a anniversary, our 1st one been next week!! !